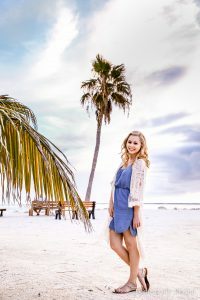 Brownies are always a great go-to recipe when you are craving a chocolaty dessert – which is great because my mom gave us 2 large boxes filled with brownie mixes after we were married and we still haven’t finished them. 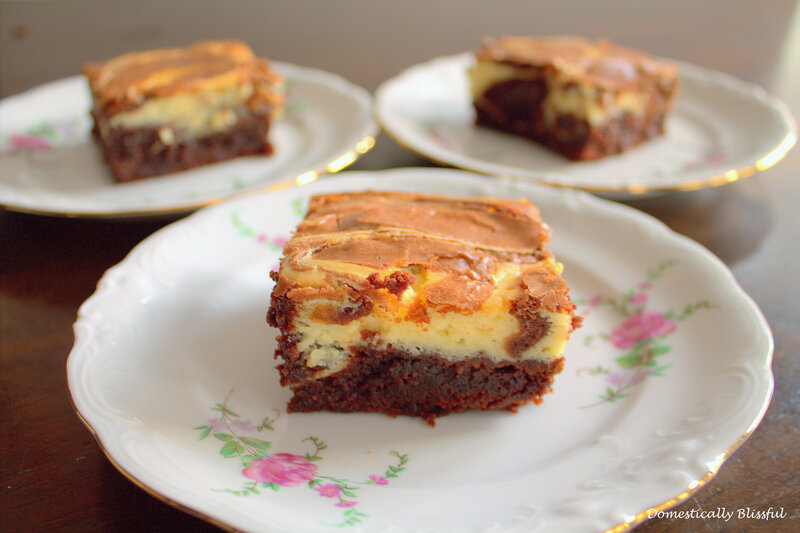 These Cheesecake Brownies are so moist and so rich that they literally melt in your mouth. 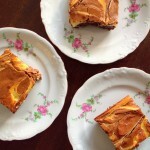 I had the hardest time taking pictures of these Cheesecake Brownies and not just eating them all. They are seriously that good! First, preheat the oven according to the brownie mix recipe, follow the directions to make the brownie batter, and pour the batter into an oil sprayed glass pan leaving about ½ cup of brownie mix for later. 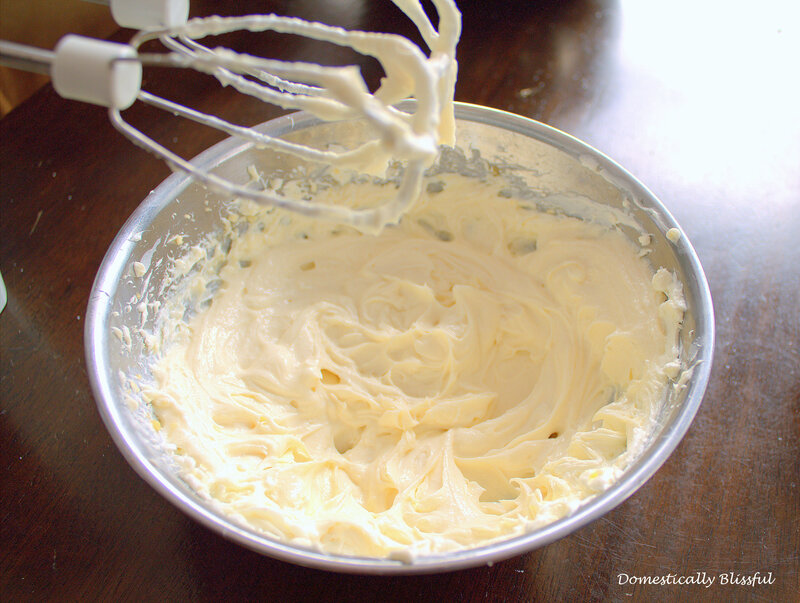 Use an electric blender at medium speed to blend the 8 ounces of cream cheese until light and creamy – about 2-3 minutes – in a bowl. Then mix in the 1/3 and 1 tablespoon of sugar. Finally, blend in the 1 teaspoon vanilla extract and 1 egg. 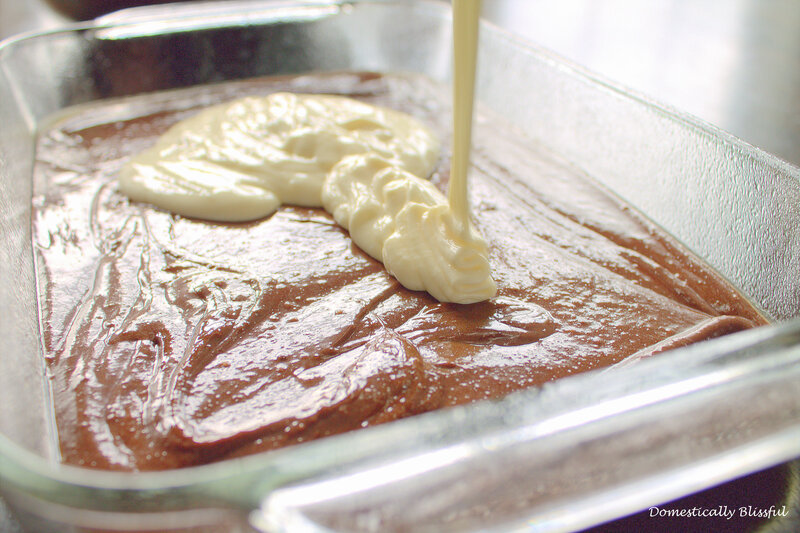 Pour the cheesecake mixture over the brownie mix and spread it evenly across the top. 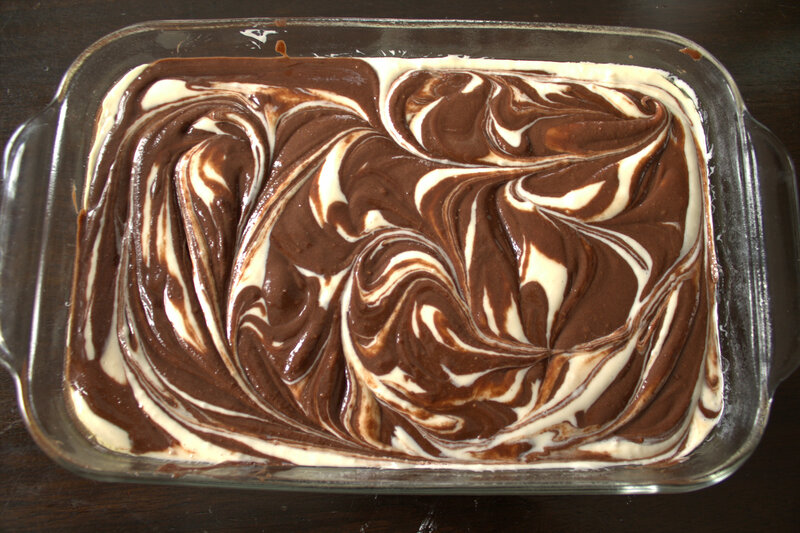 Then pour the ½ cup of extra brownie mix in a swirly pattern over the cheesecake – don’t worry it doesn’t have to look perfect. 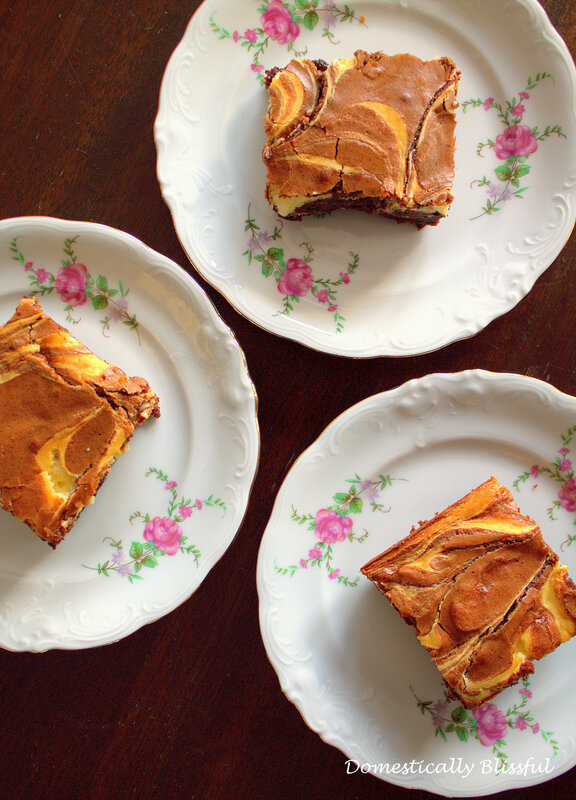 Take a butter knife and swirl the brownie and cheesecake mixture around to create a pretty design. 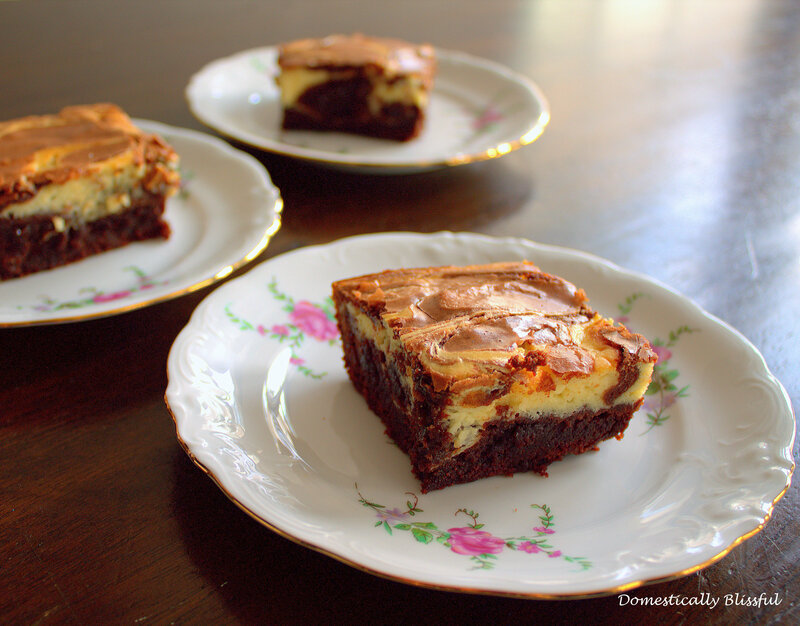 Bake the Cheesecake Brownies according to the brownie directions, let cook, and enjoy! 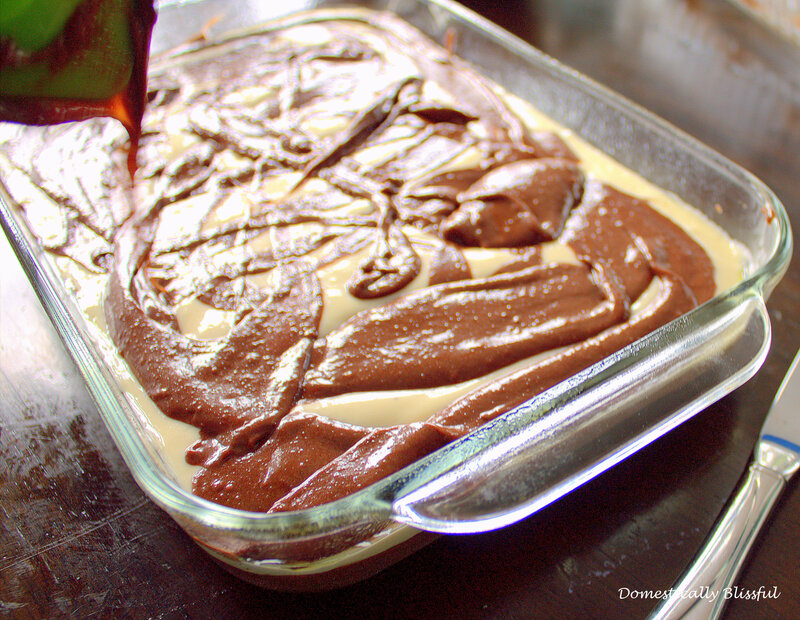 Then pour the ½ cup of extra brownie mix in a swirly pattern over the cheesecake.